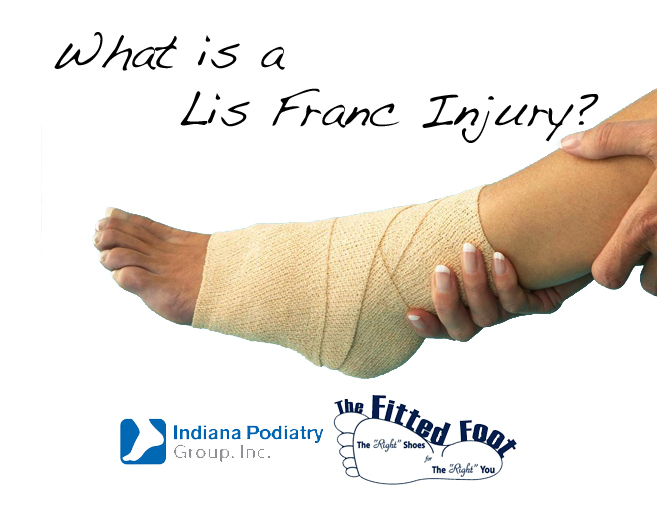 What Is a Lis Franc Injury? A Lis Franc injury is where the ligament that runs from the medial cuneiform to the base of the 2nd metatarsal becomes ruptured. This ligament is in the area of the midfoot and when damaged, an injury can vary from a simple sprain of the ligament to complete rupture, dislocation, and multiple fractures. The most common causes of such an injury is competitive sports where a player falls on the foot when the foot is planted on the toes as well as auto accidents where the foot is on the brake and there is a strong impact. Falls from heights and other trauma can cause such an injury as well. Simple sprains can be treated conservatively where most other injuries that demonstrate gapping on an x-ray need to be managed surgically. These injuries can be associated with significant development of arthritis later in life as well. One thing to note is that these are among the most common injuries missed in diagnosis in the emergency department. If you are having significant midfoot pain after an injury give one of our experts at Indiana Podiatry Group a call.